Announced today, the five-year partnership extension between the consumer electronics vendor and the Sydney Opera House today will see the two collaborate on new technologies through the venue’s Decade of Renewal, launched in 2013 upon its 40th anniversary. The first of the new offerings will be a Climbing the Sails VR experience, exclusively available in a new space inside the Sydney Opera House’s box office foyer from later this year. The 360-degree, immersive video experience will allow consumers to ascend the sails of the famous landmark using Samsung Gear VR. The seating area, named The Lounge – enabled by Samsung, will also feature some of the vendor’s other technology, plus digital content and interactive displays that showcase stories on the venue’s history along with renewal plans. 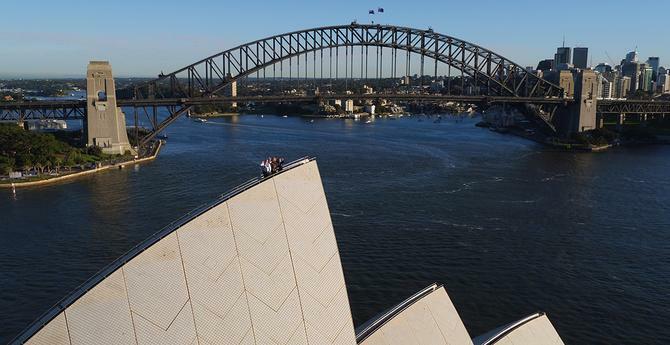 Samsung corporate VP and CMO, Philip Newtown, said the ongoing partnership with the Sydney Opera House was about enriching the visitor experience. “We hope to deepen the relationship Australian have with the iconic building and inspire the next generation through the VR experience to engage and enjoy the Sydney Opera House in a whole new way,” he said. Also announced today, the NSW Government has confirmed it will deliver the first $12 million of the $202m committed to the first stage of the Opera House’s Renewal in this next financial year budget. Sydney Opera House CEO, Louise Herron, said the backing of Samsung and the NSW Government was vital in continuing to inspire and strengthen the venue’s community ties. “From the beginning, the Opera House has been about collaboration and innovation and we need to ensure this continues long into the future, as mandated by our enabling Act,” she said. In January, Samsung worked with the venue to launch its new Welcome Centre, a collection of 12, 46-inch digital displays that screen animations telling a visual story of its history. In March, Sydney Opera House also revealed a two-year agreement with Adobe to rollout the vendor’s full Marketing Cloud suite as part of digital transformation plans. Under the arrangement, the venue will implement the marketing technology in addition to using Adobe’s Creative Cloud, as well as host activations and events by Adobe aimed at showcasing digital’s impact on creativity, technology and the performing arts.